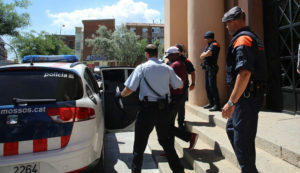 During an antidoping operation in Spain, police searched Sadabell hotel in which the trainer Jama Aden uses to spend the summer with some of his athletes, among whom the world record holder Genzebe Dibaba. During the operation the police found EPO and other forbidden substances in the trainer’s room, who was therefore arrested. According to the spanish laws the one who promotes the use of doping can incur into two years long sentence, whereas it will be the IAAF to decide on the ban of the athletes who will be tested positive because making use of doping substances is not considered a crime. The operation was developed after the Spanish antidoping agency noticed the Mossos, the local police; it looks like the agency’s suspects laid on a solid ground. In 2011 already, during another antidoping operation, the 2008 Beijing Olympic Champion Rachid Ramzi had been tested positive to EPO. 25 athletes were tested so far; was Dibaba tested positive, it would only be the umpteenth scandal in the world athletics which, in the last period, is showing more and more how doping is well embedded in the sport culture.